As you know, the adhesion to EPM Editorial and EPM Co-operators Boards is completely free and open to International Universities as well as to Secondary schools. EPM Editorial Board is pleased to invite you to our next 15th EPMeeting in Kastamonu, Turkey, in July 2011. Either if you are interested to join us and/or to get EPM Editorial Products or you simply wish to know our educational-scientific project, you are welcome to participate. We will even plan a full project useful to everybody to apply for Comenius Agency in order to ask a grant for next years activities among participating schools. Of course you are welcome to participate to such a preparatory visit and apply with us for the cited Comenius grant. Feel free to ask us every query you have in your mind. By the way, remind that we have no grant to help coming people. If you are or you bring students with you, we could try to give free accommodation by way of hosting school’s families. A limited number of free accommodations for teachers are available. The priority will be given to EPM Editorial Board members, then to EPM Cooperators and, finally, to other teachers in order of confirmation of their participation to the Meeting. If you are interested to participate to the Meeting, you have to fill and send us the form attached to this Call. By the way, here below, you find the links useful to download your completely free EPM Editorial Products. Of course, you may use them to read and/or print the whole EPMagazine Collection or single issues and/or to download the Multimedia EPMagazine CD Collection 2003-2010 (Earlier Version 2). Arrival of participants. Accommodation as provided in the Pretty Dorm House in Kastamonu. Welcome ceremony. Presentation of the programme. 10.00-10.20 Governor’s speech; Introduction to the Project, why we are here, what we are going to do, what the purpose is and what we get at the end of the Program. 10.20-11.20 Presentation of each Country and school/university opening toward LifeLong Learning projects and professional formation of young, explaining Efforts and Culture. 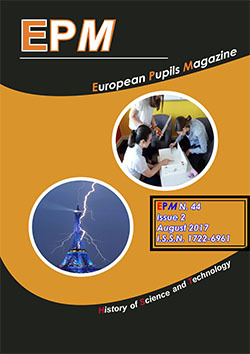 11.30-12.00 Expectations and contributions by EPMagazine. Briefly reports about the progress on collaborative tools since Sofia 14th EPMeeting and open the evaluation of the existing opportunities for the different segments of this envisaged collaboration. GR - Nikos, What has changed in EPM last year? 10.00-12.00 Teachers: Comenius, Youth in Action, Copernicus, LifeLong Education, European Commission’s ones and other proposals for a granted project. Among others, the following areas will be covered during the Symposium as oral presentations. Students’ contributions, Labs and oral communications are greatly expected. EPMagazine Sharing work until next EPMeeting. Oral Communication about Technology for green Energy.